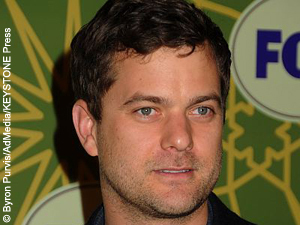 Despite not being cast as Gotham’s hero, Fringe star Joshua Jackson wouldn’t mind trying out again for the part in future films.The Vancouver-born actor was among the finalists to take on the role of Bruce Wayne in Christopher Nolan’s reboot of the Batman franchise. Ultimately the role went to Welsh actor Christian Bale. However, in an interview with ComingSoon.net, Jackson admits that given the chance, he would audition again – conceding that he would be filling some pretty big shoes. “I’m not going to turn down an audition,” Jackson said. “As much as nobody in their right mind would turn down that job, I don’t know if you really want to be the guy after Chris Nolan and Christian Bale. Those movies are pretty fantastic.” Jackson went on to praise the actor that beat him out for the role. “You never want to admit you think somebody else made the right decision when they didn’t hire you, but Christian Bale was pretty amazing,” Jackson said. “The marriage of Chris Nolan and Christian Bale for those Batman movies was spectacular. I would be intimidated to step into those shoes, but if they asked me to audition I would.” Considering Nolan has mentioned that this Batman film is the last of his trilogy, perhaps Jackson will still have the chance.